The Barcelona home jersey is passable but the away is just awful. Wtf were they thinking?? 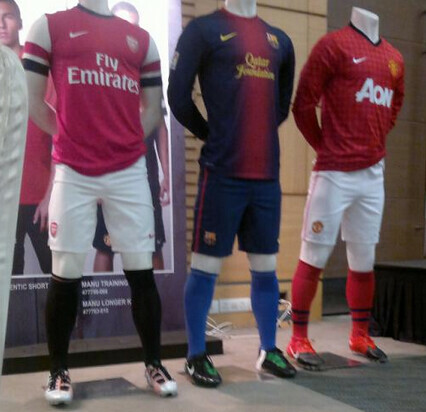 The shirts are made in Qatar -.- Lost their blaugrana colors,very very woeful. Arsenal shirt it's pretty much the same a little bit changed, ManU shirt looks like a flannel to me but not bad, Barca shirt it's awful, have to be said, and oh my god! what happened with the away kits?! Red socks?! What happened to Black? !